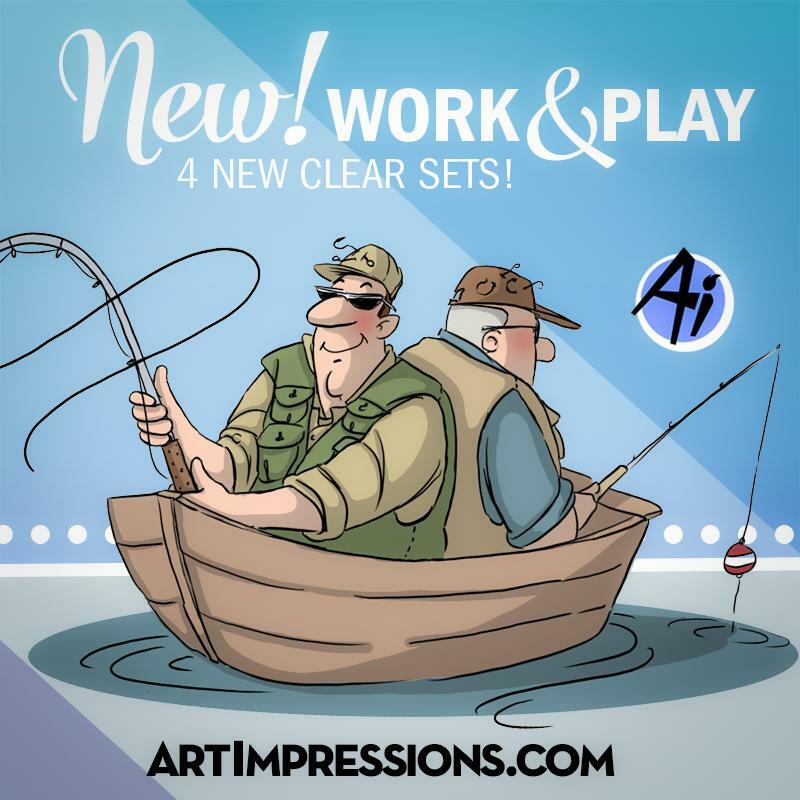 Art Impressions Blog: NEW Work & Play Clear Sets! PLUS, Challenge 202 Playful People! NEW Work & Play Clear Sets! PLUS, Challenge 202 Playful People! Hooray! Hooray! It's a new release day! When you work hard, you play hard! We are so excited to launch our new Work & Play clear stamp line, featuring your favorite characters and hilarious phrases! 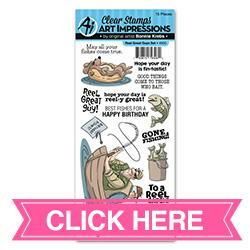 These four sets are so versatile, with birthday wishes and everyday sentiments perfect, for your friends and co-workers. 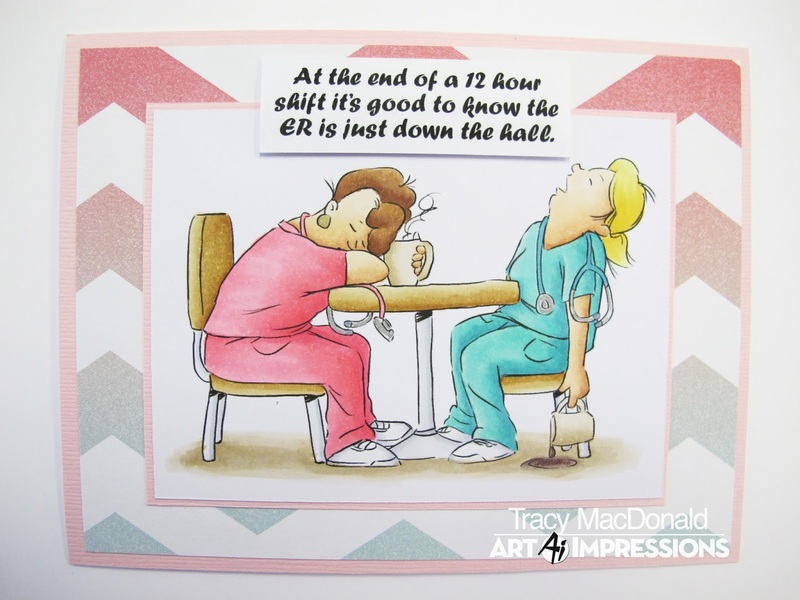 Send sassy greetings to your golf buddies with our Par-Tee Golfers Set, and encourage your health professional friends with the hilarious Proud Nurse Set. Our Teachers Rule Set works great for teachers of all ages, and our Reel Great Guys Set is perfect for those fishermen in your life. Check out our video preview of these products from the Creativation trade show last month! We have a sneak peek of some adorable cards by guest designer Tracy MacDonald! Be sure to swing over to her blog for other fantastic projects! To celebrate the new release, we're launching a new challenge "Playful People!" This is the perfect opportunity to break out your favorite people stamps or grab these new ones from artimpressions.com and play along! ✻ Please make a new card or creation. You can make any crafty item you wish; this is not limited to cards! ✻ Limit two submissions per person. You will receive extra votes if you use Art Impressions stamps! ✻ The Ai Challenge is open to everyone, international submissions are welcome! ✻ Include a link back to the Ai Blog or grab our button on the top right of our sidebar! ✻ Share the Ai love by clicking and commenting your fellow crafters. ✻ Make sure to get your link up by Wednesday, March 1 at 5:00 p.m. PST to enter your creations. ✻ Good luck and happy stamping! Before we go, let's announce the winners of last week's Challenge 201 Lots of Love! These cards are just too sweet! Congrats, Karen! 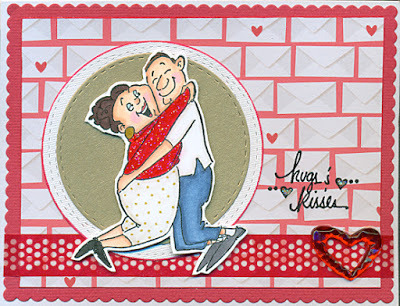 We love your bright and clean love card with our Tina Set! So adorable! Email annelise@artimpressions.com with your address to claim your prize pack! Congrats, you two! Nela, we love the amazing coloring with our Turtle Stackers, and those little heart details are too sweet! Margo, we love the extra glitter you added to our Love Spinners Set! What a loving couple! Email annelise@artimpressions.com with your address and the name of a stamp set of your choice for a prize! Thank you to all the entrants! 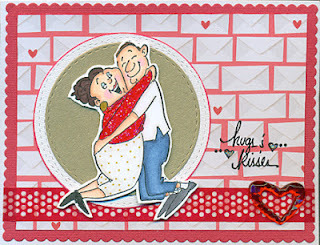 Your love cards are amazing! 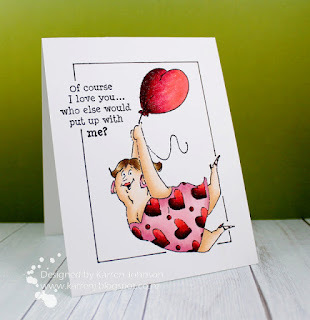 We hope you'll join us again for our Playful People challenge! Why do I see new water color stamps on eBay, but not on your site? I love the new stamps and the great cards by the design team! So cute! Adorable new Work & Play Stamp line, AI! The new fishing set is perfect for all of the fishermen and women in my family. 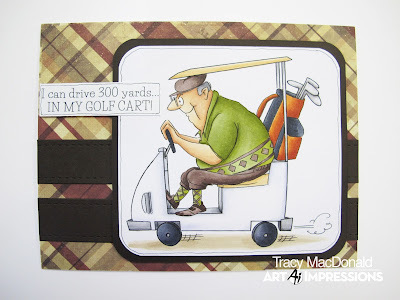 Lovely DT inspiration and Congrats to this week's winners! Yay! 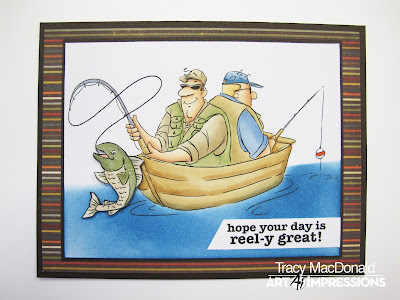 Thanks so much for choosing my card! I'm thrilled! Congrats to Nela and Margo. And your new sets are fabulous! I'm really upset that your Nurses and Teachers sets are only done with women. My husband and several of our friends are nurses. I also have several friends that are teachers that happen to be men! Next time, please be more versatile, as I can't even switch heads to make the nurse a man-she has breasts! Still, AE is my favorite stamp company! Thanks you for choosing my bookmark! I'm happy! Congrats to Karren and Margo. Love the new sets! Hi Beth! We LOVE our independent stores, and allow them to order our new releases first. Stores or customers who buy from these stores may be listing items on eBay. Hi! Thank you for sharing your feedback and suggestions. Thanks for your support!